Interesting question from one of our faculty members, she wanted to create an ungraded pretest. She had a collection of challenging questions she wanted her students to answer at the beginning of her course but did not want them to be penalized in terms of a grade. It took me a while to find the answer, but the solution is quite simple. create the quiz and add questions. 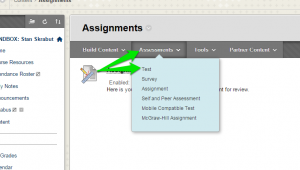 Deploy the quiz as part of your course content. 1. 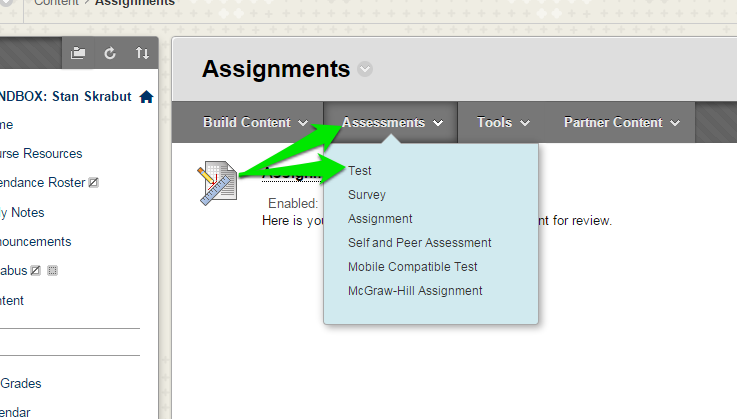 Navigate in your Blackboard course to a place where you wish to add an assessment. 2. Select Assessments and then Test. 3. 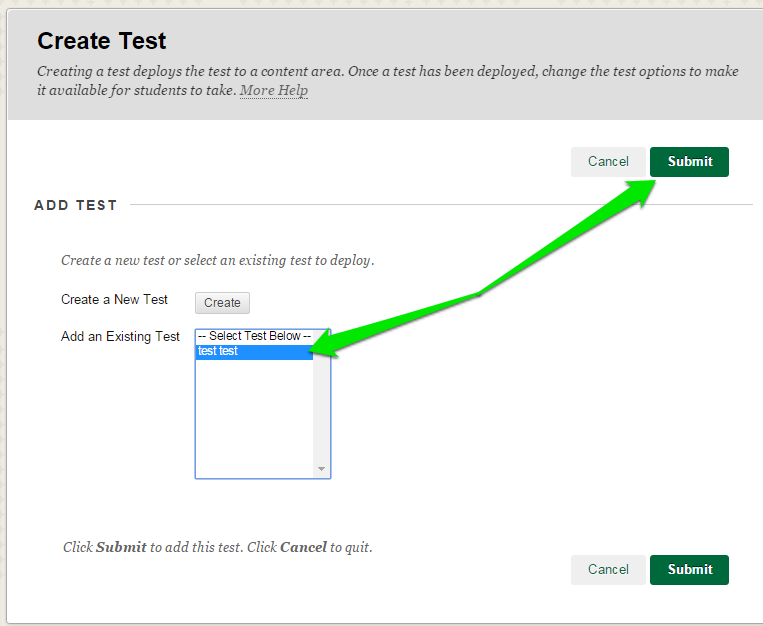 Choose your exam from Add an Existing Test section and then click the Submit button. 4. 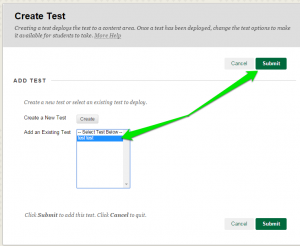 Update Test Information, Test Availability, Test Availability Exceptions, Due Date, Self-assessment Options, Show Test Results and Feedback to Students, and Test Presentation. Click Submit when complete. We are interested in the Self-Assessment Options. You have some decisions to make. Primarily, do you want the test to be calculated in the grade center? Making this change will switch between a graded and ungraded practice test. If you have questions about creating a practice test, please contact a member of the TEI team.